Hi everyone! I apologize that I have been remiss on my updates lately. I was at the Good Sam show in San Jose, then on a cruise in the Caribbean where I taught the workshop Luce, then in Philadelphia. I have been hemming and hawing for the last year or two about building this piece, and now I'm making it official. 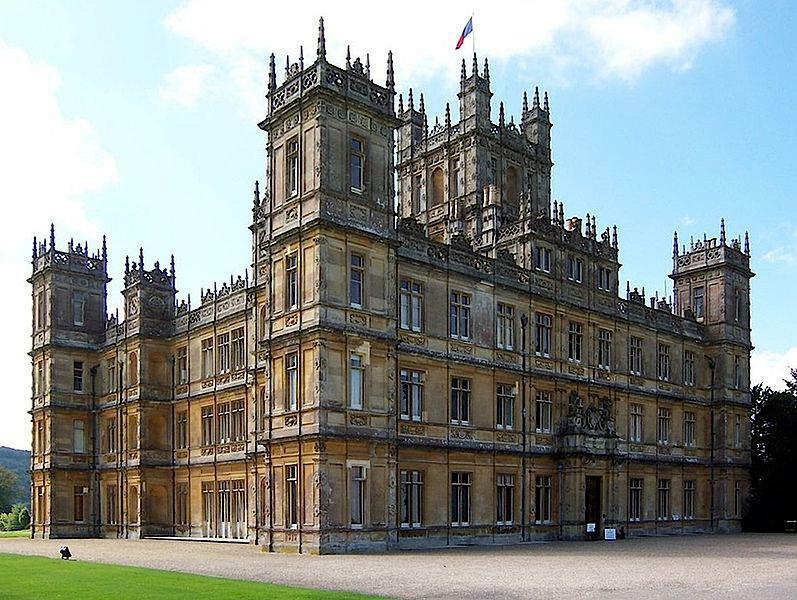 Here are some pictures of Highclere Castle, the real-life stand in for the estate in the BBC series Downton Abbey. If you are a fan of the show, I hope you will enjoy my updates of the creation of this magnificant structure. The first photo shows the castle as seen from outside. Following are various angles taken from a SKP 3D model which I will use to direct dimension and elevation. I have no end date for this project, so it could take a while. And I've got a lot of other things cooking as well. I will do my best to keep you updated! OMG, Erik, that is quite an ambitious project! In your hands it will be, no doubt, a remarkable piece. This is going to be an incredible miniature. I look forward to seeing the results! I love that building! I can't wait to see your project. with your skills I know it will be a masterpiece. John, thanks. I look forward to it...with a little trepidation. It's a daunting task but I have sent mine eyes on something a bit heavier as of late and this fits the bill nicely. Anna, thanks, please stay tuned! Giac, as always, thank you. I think your estimation of my skills may be a bit optimistic, but I hope not to let you down!